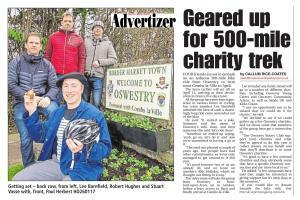 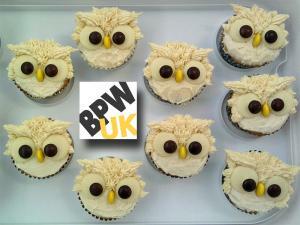 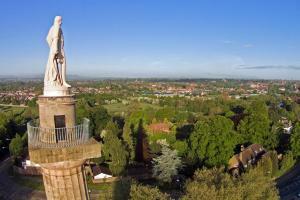 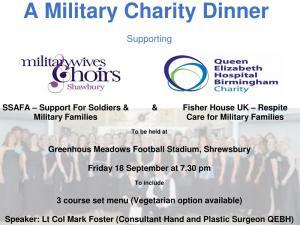 This page allows us to help publicise community events in the Oswestry area. 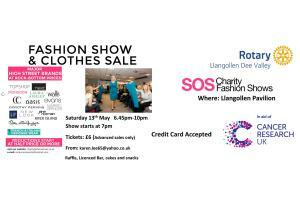 Sometimes we are involved in the event but sometimes we're not! 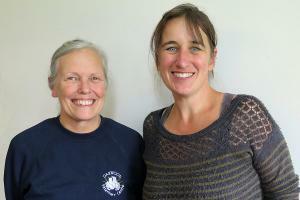 Bill Bowen's speaker, Robyn Lovegood, the Llangollen Food Assembly Host spoke about this new type of Farmers Market. 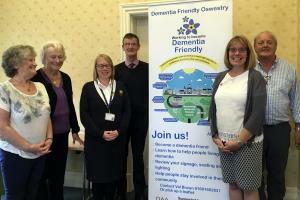 Find out more about "The Oswestry Round"
Free one hour informal sessions for you to become a Dementia Friend. 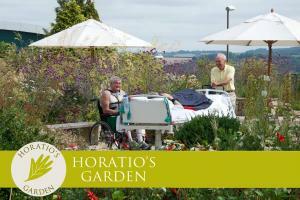 Learn more about how dementia affects people - just go along! 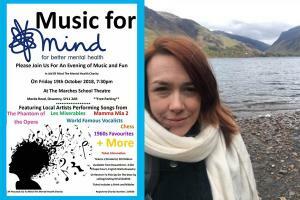 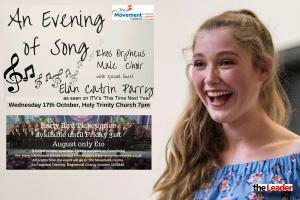 An evening of song with Rhos Orpheus Male Choir, and a very special act Elan Catrin Parry in aid of The Movement Centre. 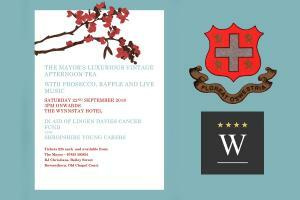 with Prosecco, Raffle and Live Music! 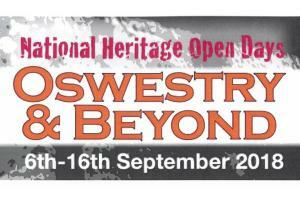 Every year in September, places across the country throw open their doors to celebrate their heritage, community and history. 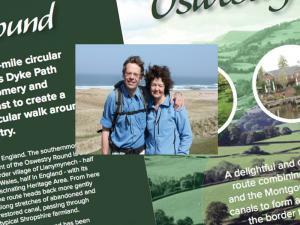 It's your chance to see hidden places and try out new experiences - and it's all FREE. 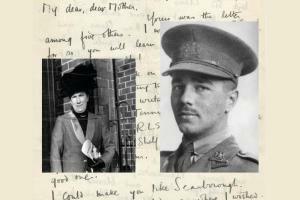 Free as part of the Heritage Open Days Festival, Dave Andrews, Reader and Writer in Residence at Oswestry Library and author of ‘Wilfred Owen: Poet of Oswestry’, talks about the strong-minded and formidable mother of the famous World War One poet. 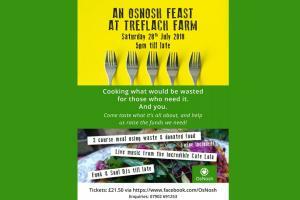 Help them raise the funds required to get this project off the ground by attending this Feast! 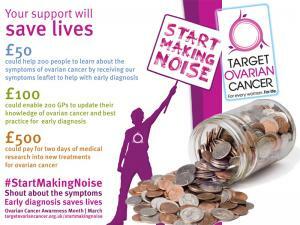 Aiming to collect £50 from our loose change to raise money for the Target Ovarian Cancer campaign in support of The City of St Asaph Rotary Club, we raised £60.07. 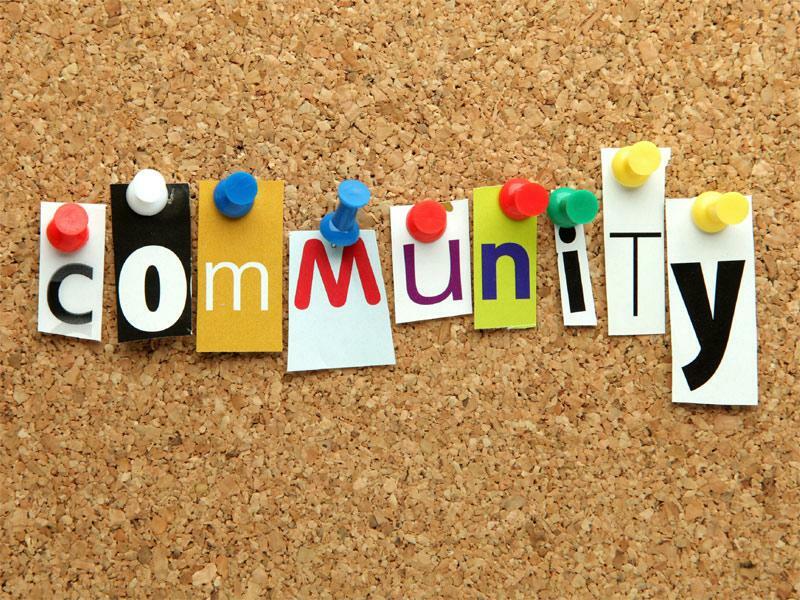 Thank you for your support! 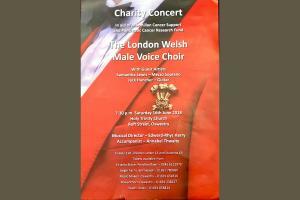 A musical history of the Gentlemen of the Chapel Royal will be presented by the excellent 16-strong chamber choir “The Scholars and Gentlemen” in St John the Baptist Church, Whittington, on Saturday March 17th at 7.30pm. 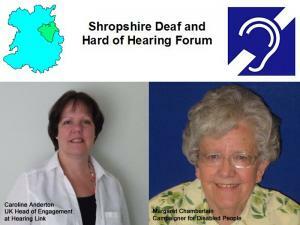 Chris Perry's speaker today will be Lady Susan Trevor, vice-chair of the RJAH League of Friends who will be talking to us about the appeal for Horatio's Garden at the Spinal Injuries Unit at Gobowen. 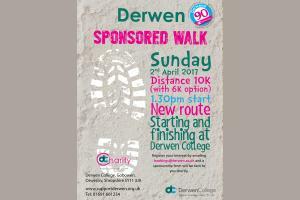 Memory Walks will be taking place across England, Wales and Northern Ireland this autumn for the Alzheimer's Society's annual fundraising drive. 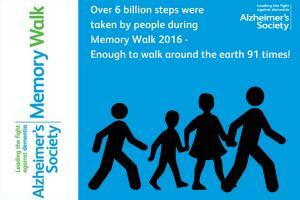 Join in the Memory Walk at Attingham Park? 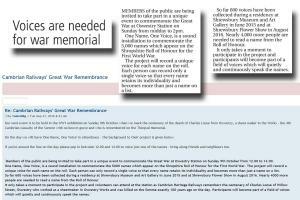 News of events run by the Friend's of Lord Hill's Column - An unmissable lecture and Open Days for the Column. 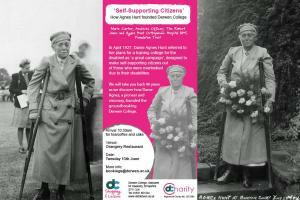 Marie Carter, Archives Officer at the Robert Jones and Agnes Hunt Orthopaedic Hospital will be giving a talk entitled 'Self-Supportng Citizens' How Agnes Hunt Founded Derwen College. 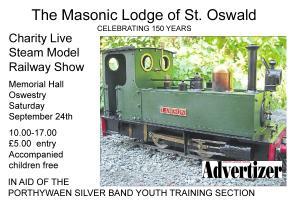 Part of their 90th birthday celebrations. 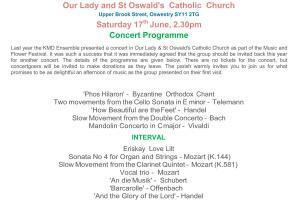 Could I please ask you to invite the members of the Oswestry Rotary club to an up coming event that we Llangollen Dee Valley Rotary are hosting? 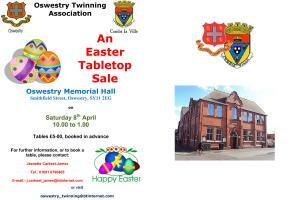 The Twinning Association is holding a Table Top Sale in the Memorial Hall Oswestry. 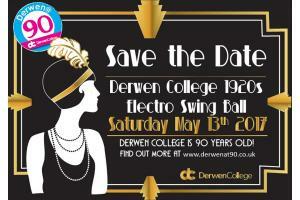 Celebrate 90 years of the Derwen College! 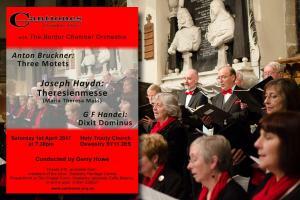 Cantiones, Oswestry's Chamber Choir has been singing high quality music for 30ish years. 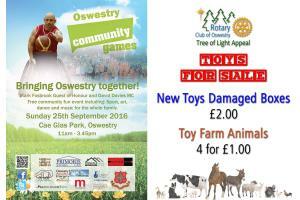 Mike Jones needs our help to run a Rotary Stall in aid of the Tree of Light Appeal when Oswestry's Community Games return today. 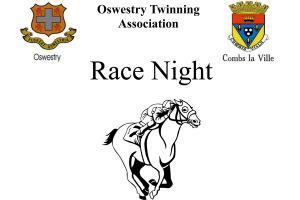 And, as a special bonus, come and hear Daitwice as the event MC! 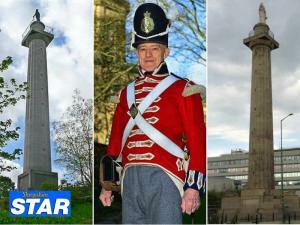 Shoppers and visitors to Shrewsbury are in for a rare treat during the morning of Saturday 9th April when around 100 members of the armed forces will march through the town in full uniform to welcome Rev"™d Richard Hayes and Nigel Hill to Shrewsbury. 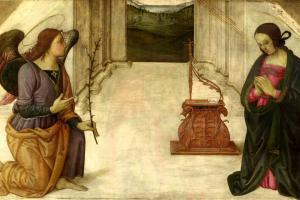 To acknowledge and celebrate womens"™ achievements throughout the world and from different cultures.